On February 28, 2010 Guru suffered a cardiac arrest and is currently in a medically induced coma although is recovering from from surgery. Earlier today DJ Premier tweeted, "Good news: #guru surgery was successful, keep sending him love." He later added, "#Guru still in a med induced coma, he's breathing with machine help. And please reporters, don't copy without care. #Pray." 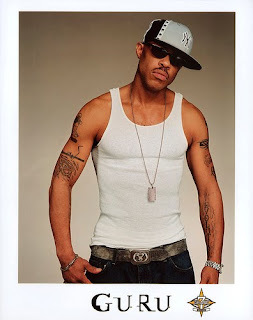 However in 2005 GURU (The name Guru is a backronym that stands for "Gifted Unlimited Rhymes Universal" and the less often used "God is Universal, he is the Ruler Universal") said the group had ended and not broken up. Although GURU has never reclaimed the glory of his times with Premier one cannot underestimate his skills as an MC. Below are a couple of rarer Gangstarr tracks; I'm not Superman and Tongue of Terror as well as a live verison of Full Clip recorded on Jools Holland's BBC show. 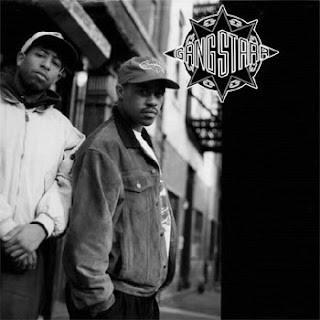 In addition to these track there is also a four part best of Gangstarr mix that was released as a limtited edition vinyl around the time Full Clip was released and it is mixed by Premier. GURU and his family are in my prayers and I hope he makes a full recovery.